I love to cook! And I also must confess, I have a bit of an obsession with collecting cookbooks. I can't visit a bookstore without browsing through their cooking section, especially looking for any "bargain titles" or books on different cuisines that I don't already have covered in my library. And yet, as much as I love cookbooks, I have to admit that often when I'm trying to decide what to prepare for dinner, I end up going online to browse recipes instead. In a few seconds on Google I can search through and find hundreds of recipes that match the ingredients I have on-hand, see pictures of them, read user reviews - and perhaps come up with my own ideas combining one recipe's elements with another's. In many ways it seems simpler than trying to thumb through one of my 300+ cookbooks (and hundreds more magazines) to find what I feel like making tonight. More and more, it seems as though people are abandoning traditional cookbooks in favor of online recipes. But is there still a place and important use for cookbooks in our kitchens? Are they still superior sources for recipes than the internet? What tools are out there that can help us get our books off the shelves and back into the kitchens? On this page I'll go through some of the pros and cons of traditional cookbooks vs. online recipes, share resources, and give you a chance to sound off with your own opinions on this growing debate. 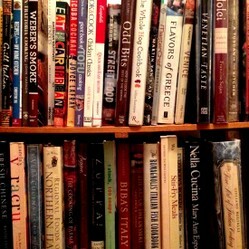 Poll: How Many Cookbooks Do You Own? 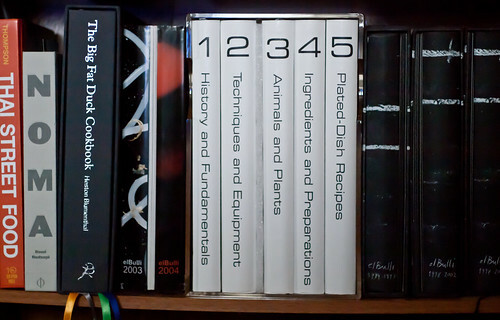 How many cookbooks do you have in your cooking library? None - If I'm going to cook I look online for recipes...or just make things up on my own. Less than 10. I have a few books I rely on and don't need more than that. More than 100. I KNOW have a cookbook obsession! The earliest recorded cookbooks in history have little resemblance to the ones we know and use today. These early "cookbooks" were primarily lists of recipes and author's favorite dishes, as prepared for the upper classes, royalty and other forms of elite banquet cuisine. There is little written record of the cuisine and foods of the peasants and lower-classes - such "recipes" would likely have only been shared orally within families and communities as mothers taught their children to cook. The Apicuis dates likely back to the 4th or 5th century AD, and this Latin volume is important giving historians a sense of what foods were eaten and how prepared in the Mediterranean during that time period. But not many home cooks would find this volume particularly useful in their home kitchen today - flamingo isn't exactly something you'll usually find in the poultry section of your supermarket! Want your own copy of the Apicus? More recipe books and collections began to appear in the late thirteenth century in Europe, some manuscripts of which at least partially survive today. After the late Middle Ages, cookbooks serving as general kitchen references began to appear that were geared more toward housewives and servants - not just the chefs for the elite. 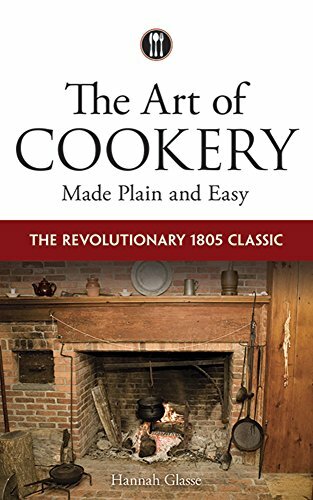 From this line of books we have many of the standard, well-known cooking volumes for home use today, such as The Art of Cookery Made Plain and Easy. From there, cookbooks have expanded into all different kinds of niche markets. There are of course countless titles focusing on regional and national cooking styles, special diet and health-conscious volumes, books by celebrity chefs and television personalities, books recreating restaurant dishes, brand-name collections showcasing specific ingredients, and countless more. Julia Child on "First Cookbooks"
Exploring history though the foods we eat...and write about! 1. Cookbooks are about more than recipes. Cookbooks are great for learning about different cuisines and cooking techniques in a cohesive, organized manner. Even if you don't end up using the recipes, you can learn a lot just by reading the introductory text and the explanations of different ingredients, techniques, and methodology as related to the topic of the book. It's hard to get that same educational experience if you just do a google search for a particular recipe or combination of ingredients. 2. Cookbooks don't require an internet connection. Cookbooks can travel with you almost anywhere - you don't have to worry about your laptop battery running out in the middle of dinner preparation, or losing your wifi connection. They are great to take with you to read anywhere and anytime when you want to be inspired to cook something later on at home. 3. Classic cookbooks are classics for a reason. For someone who is a beginning home chef, or perhaps trying to learn a new cooking technique like baking, making pizza, or exploring a new cuisine, it's hard to find a fair substitute for a thoroughly researched and carefully written cookbook. Every home chef should have a copy of The Joy of Cooking on hand, and volumes like Mastering the Art of French Cooking are still considered the backbone of many chefs' training and education for a reason. 4. Cookbooks are a way to pass on family traditions. I have extremely fond memories associated with my grandmother's cookbooks. I treasure the books from her that I inherited, including her hand-written notes of adjustments, thoughts on the tastes...even the grease-stains on well-used pages/recipes! That's not something you can recreate with an online recipe database. 5. Cookbook recipes are more trustworthy. One should imagine that if an author has managed to get a cookbook published, his or her recipes should be well-tested to be reproducible and tasty, at least to a test market. In comparison, anyone can throw a recipe up on an online site; there's no screening process to determine if the recipe is any good or not. I know I've had my share of complete "fails" following online recipes that seemed more designed to make for great pictures on Pinterest than actual tasty recipes. 6. Technology IS giving us new ways to make our cookbooks more useful. Database websites and services like Eat Your Books (www.eatyourbooks.com) are making it easier to actually find and use the recipes in your cookbooks. With an Eat Your Books account, you enter the titles in your home library, and suddenly any "indexed" recipe is right there at your fingertips! Search by ingredients, ethnicity, course and otherwise, then get recipe titles, page numbers, and user comments you can use. There are other ways to build your own recipe databases like with the Collectorz software system, too. Maybe you've got eggplant, pork chops and sweet potatoes you need to cook up - but no idea what to do with all three. Well, you could waste an hour digging through cookbooks and find nothing that's quite right, or you can go online, search google, and come up with a solution in less than a minute. 2. Become your own recipe publisher. 3. You can search for recipes anywhere and anytime on the web. 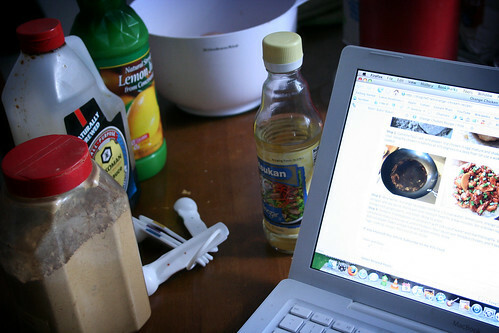 As long as you have a laptop, smart phone, or any kind of computer with an internet connection, you can find a recipe when you need it. Maybe you're staying with your parents and want to cook a favorite dish - but forgot to copy it out of the cookbook. Maybe you're having lunch with a friend and want to share a great recipe idea - just message or email her the link! 4. Ask questions and interact with recipe creators - easily! Most food blogs that post recipes have contact forms or guestbooks where you can ask questions or leave comments for the author. Maybe you need clarification on a cooking step or technique, have a suggestion or want to mention how you modified a recipe. It's a lot easier to do on the web than hoping to maybe meet a favorite cookbook author someday. 5. Easily and quickly read recipe reviews and notes. Is a recipe you just pulled up online actually any good? 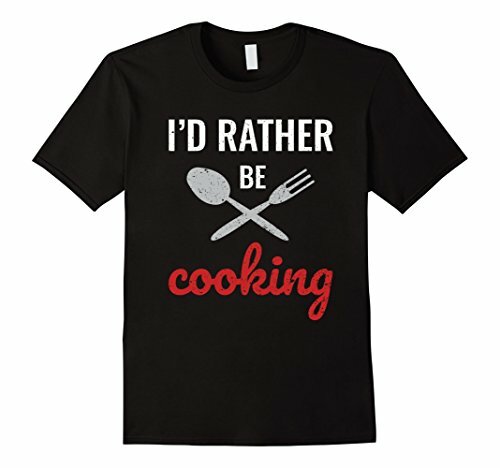 What are other cooks' experiences preparing it? Many recipe databases - including sites like FoodNetwork's recipe collection - allow users to rate and review each recipe, even uploading and sharing their own pictures of a dish! So it's easy to find out if perhaps the seasonings as written need adjustment, if the cooking time is too long/too short, and what ways you can modify the recipe to suit your own tastes. 6. Cookbooks aren't always the trusted source you might think they are. Earlier this year, shockwaves ran through the foodie and publishing communities after Julia Moskin published her article "I Was a Cookbook Ghostwriter" in the New York Times. Think all those celebrity chefs - and celebrity non-chefs - publishing cookbooks today actually came up with all those recipes, or ever even cooked them before? You might want to think again. Today cookbooks seem to have become more about a celebrity status and marketing, not actually celebrating the fine art of good food. 7. Internet recipes are "free". Well, yes. You do have to have an internet connection, and some kind of computer, smart phone, iPad etc. in order to access them. But there's no need to pay $20-30 for a cookbook any longer, especially when you find there's only 1 or 2 recipes in the whole book you actually end up liking and cooking regularly. 8. Online recipes save space - and trees! Who needs a kitchen cluttered with cookbooks and magazines? You can just bookmark your favorite online recipes using a social bookmarking service like Pinterest or Yumm - a bookmarking site that's JUST for food-related topics. If you can't find a recipe here, you can't find it anywhere! Recipes, menus, videos, and all at your fingertips for free. "Home of the Home Cook". Find thousands of free recipes with photos, reviews and more, all at your fingertips. This recipe website is paired with Bon Appetit and Gourmet magazines, so you can access recipes from their collections as well as others easily and quickly. Recipes from the CHOWhound board and community. Recipes from your favorite Food Network celebrity chefs. For a good laugh, look up Paula Deen's "English Peas". Which do you prefer today for finding recipes to use in your kitchen? Cookbooks all the way. Technology can't replace a great cookbook. I prefer cookbooks but if I'm in a hurry I just search online for a quick answer to what I'm looking for. If I'm not sure what I want to make, browsing through cookbooks is the way to go! I'm nostalgic, and I really enjoy collecting and browsing through cookbooks. I'll use internet recipes, but I will also always refer to my printed cookbooks, too. I am still old-fashioned. I prefer the cookbooks. Similar to my love of actual books rather than the new Kindle. I love cookbooks. Best thing is to sit down and browse, gather inspiration, and see what ends up on the supper table. I believe anyone who cooks homemade enough will end up either using cookbooks or making their own cookbook which could be composed of online recipes, but all in all it will still become part of a "cookbook" in time. There is just something wonderful about a bookshelf full of cookbooks! 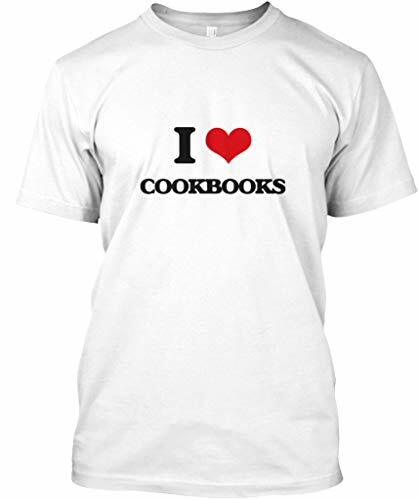 I'm a fan of books (my bookshelves are full and my Kindle has more apps than ebooks) and I have several cookbooks. My favorite is a collection-type book with tried & true recipes from family, friends, magazines and online sources. Cookbooks and my own collection of family recipes, but I have been know to use online recipes. I honestly do prefer online recipes! My favorite website is www.supercook.com The website allows you to plug in the ingredients you have in one list and exclude ingredients you don't have or don't want to use on another list. Then with the click of a button a variety of recipes pop up that utilize the ingredients you have on hand. Before you rush back to the kitchen, any final comments to add on this debate? Please let them here, and thanks! Yes, Eat Your Books is a really great service. I've been a member for a number of years now and have member-indexed several of my cookbooks for them...I only wish I had more free time for it. I enjoyed this. I didn't know about the EatYourBooks database. What a great idea! You make great points. I learn a lot just reading recipes. I have read far more recipes than I actually cooked, and I relish the inspiration. As for your debate, if I had enough time and money I'd definitely go for cookbooks. But as I can't buy at the moment all the ingredients I want, I have to go with what I know and with online recipes.